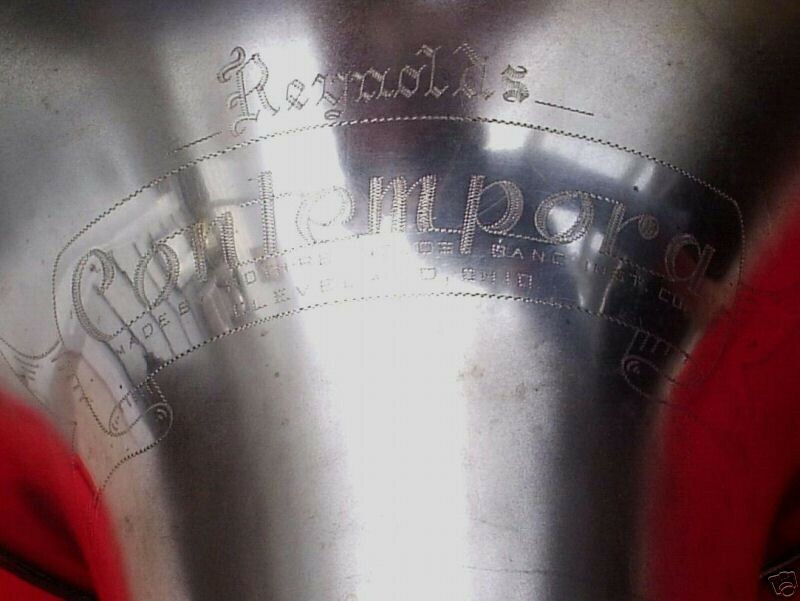 The photos and notes below describe the different engraving styles that were used on Contempora instruments over different periods of the Reynolds Company’s history. 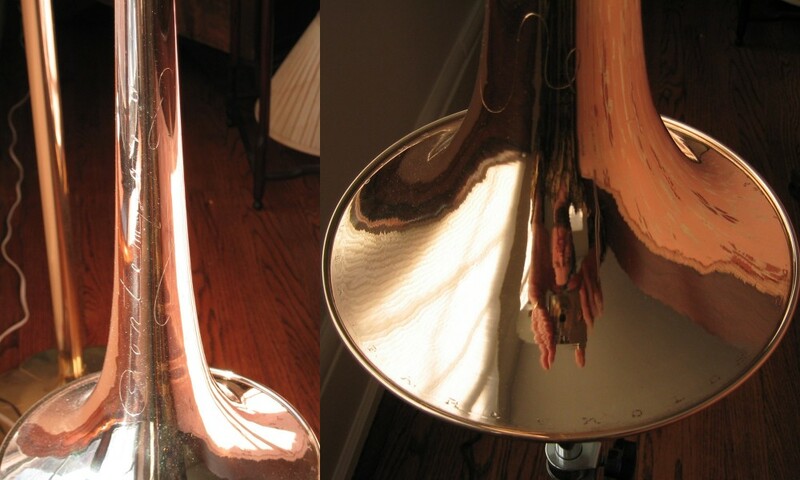 Fred Land has an example of an early 1950s Contempora tenor trombone [SN 29297] without a nickel-silver tone ring, but engravings around the bell rim where the ring would be. The inscription is “F.A. Reynolds Co. Inc. Cleveland Ohio U.S.A.”, placing it in the 1949-1952 period before the Roth-Reynolds business name was used. 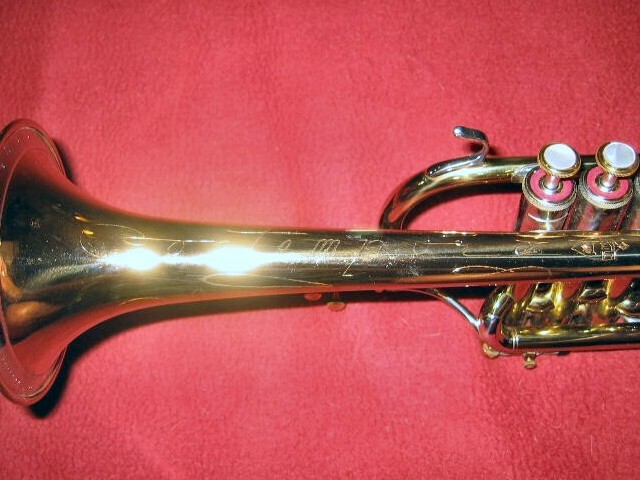 From 1952-61, the bell kranz (tone ring) was engraved with “ROTH-REYNOLDS ISTR. CO. CLEVELAND OHIO USA”. Also, “Reynolds” no longer appears across the bell width. 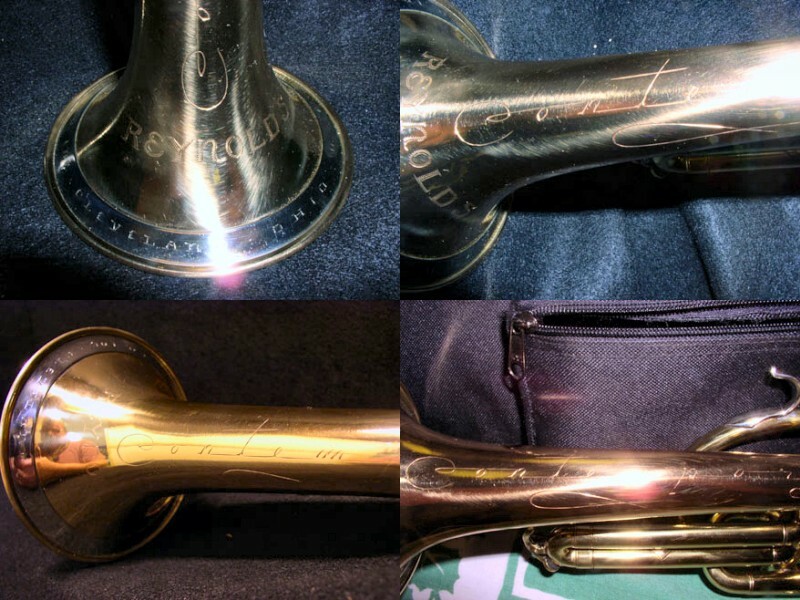 Bass trombones featured a much simpler script style with “Made by Roth-Reynolds” underneath the model name. 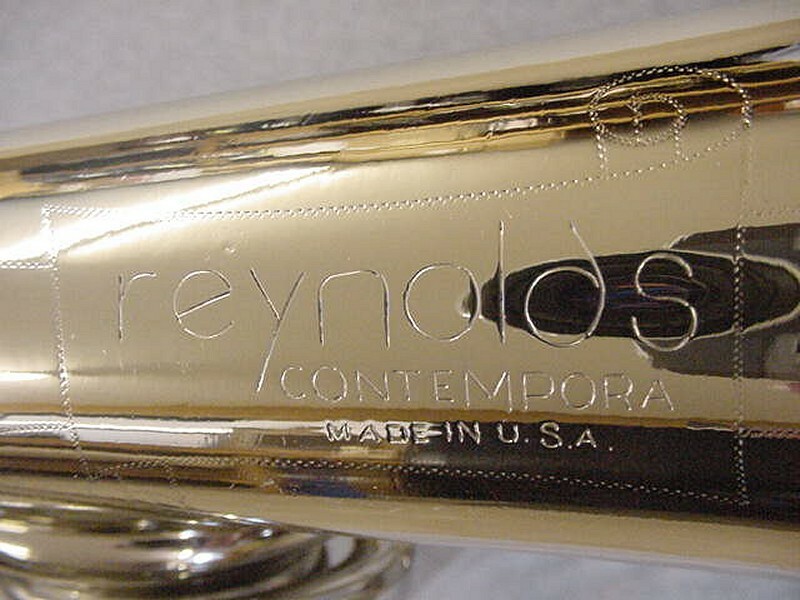 French horns, background brass and low brass instruments all featured this engraving style, which combined the simpler “Contempora” script with the “Reynolds” name and “Made by…” text against an optional ribbon-style background. Same as 1952-1961 with the addition of the RMC shield logo to the right of the engraving. 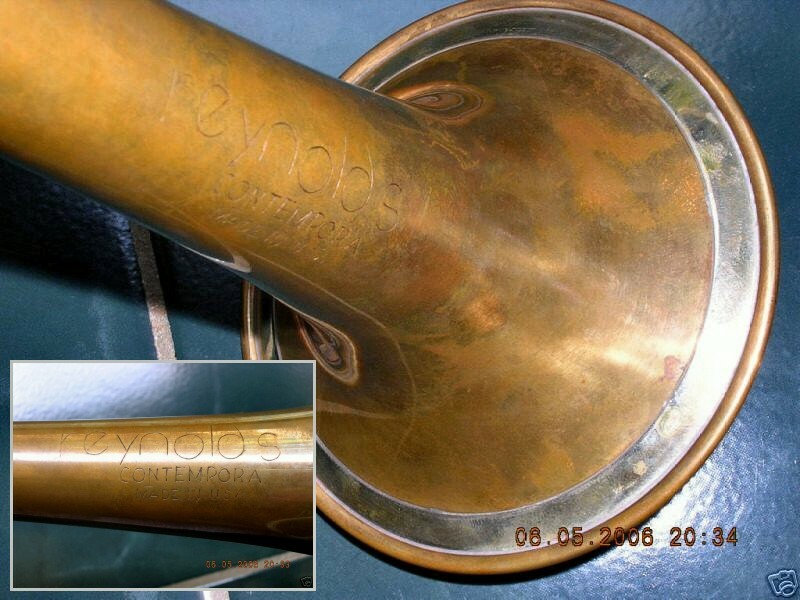 The bell kranz (tone ring) was engraved with “REYNOLDS DIV. CLEVELAND OHIO U.S.A.”. 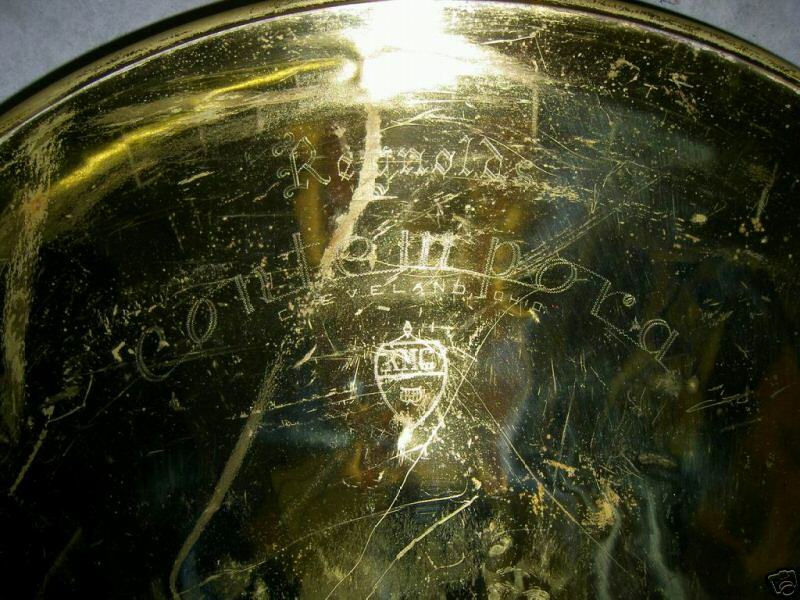 Same as 1952-1961 with the addition of the RMC shield logo to the right of the engraving. 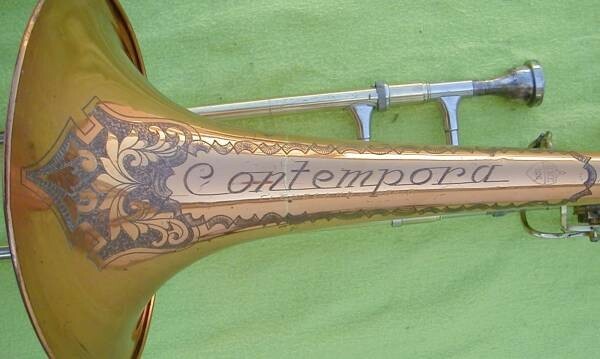 Note: the engravings around the word “Contempora” on this example were custom and added later by the owner. Same as 1952-1961 with the addition of the RMC shield logo below the engraving. 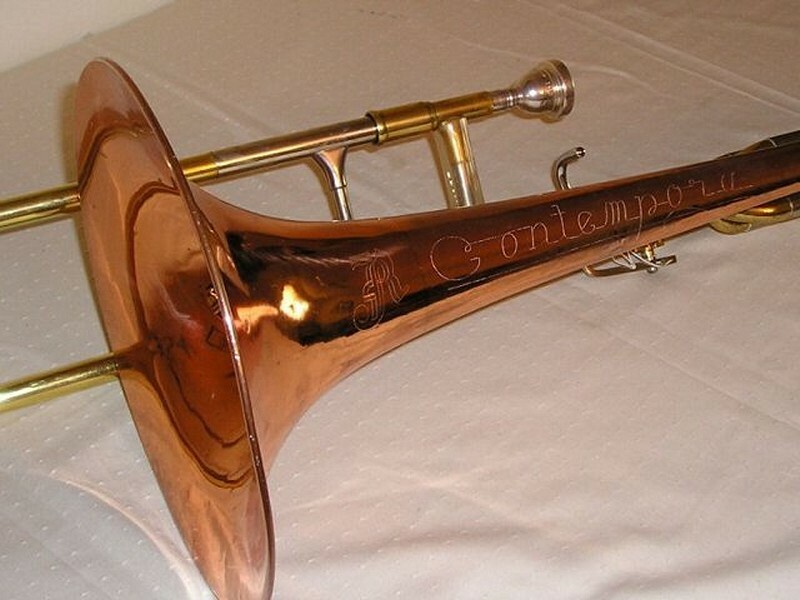 From 1964-70, the bell kranz (tone ring) was engraved with “F.A. REYNOLDS CO. ABILENE TEXAS U.S.A.” and “REYNOLDS” filling the rest of the ring. 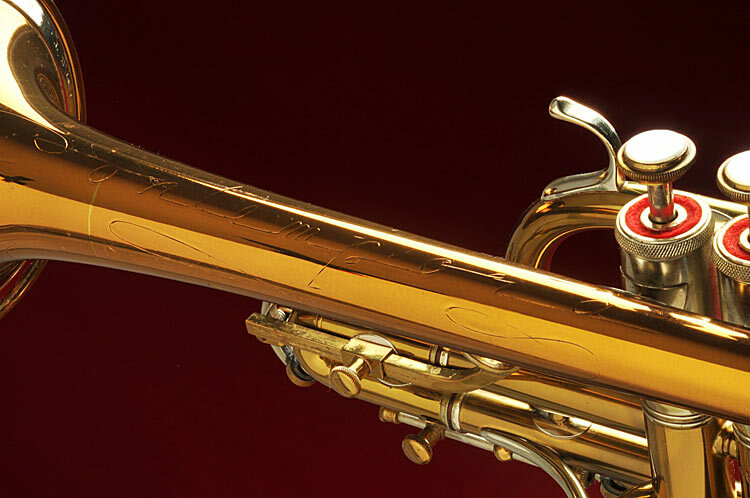 Trumpets, cornets and all trombones used this updated script. 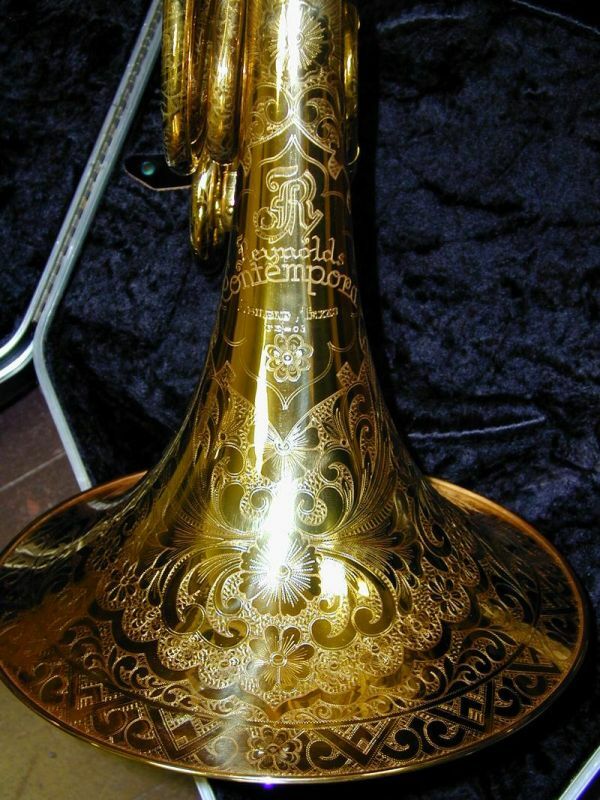 A large stylized “R” was engraved on all instruments produced in this time period. 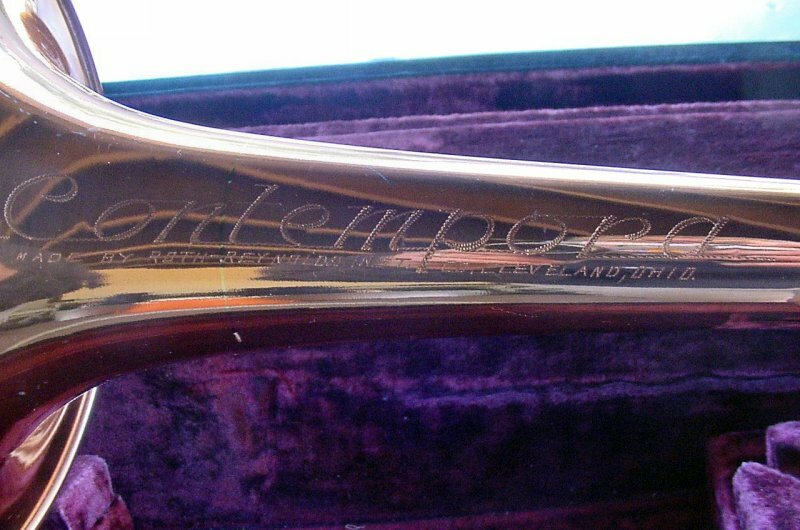 French horns, background brass and low brass instruments all used this engraving style, which combined a simpler “Contempora” script with the “Reynolds” name, stylized “R” and “Abilene, Texas” text, along with an optional model number. 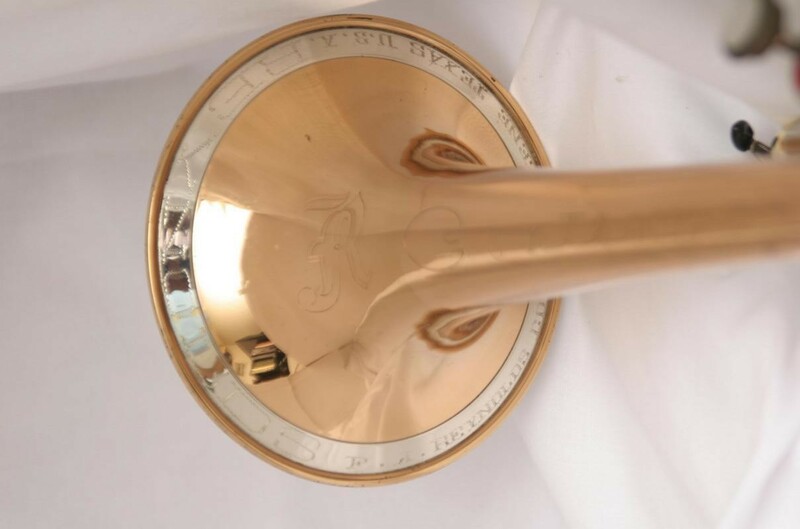 After 1970, the bell kranz (tone ring) does not appear to have been engraved and it was dropped from the design in the mid 1970s.